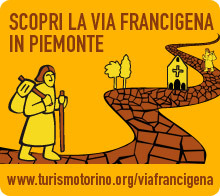 The Via “Francigena” took its name from France, as the pilgrims who wanted to walk along “Via Francigena” had to cross the Alps and depending on the climatic and environmental conditions they had to choose between the walk along Valle di Susa (next to Turin) or along the Gran San Bernardo in Valle d’Aosta. These different versions, present also in many other stretches of Via Francigena which nowadays have become valid alternatives to the official route, are called “vie dei cammini”;in order to enhance these alternative routes several associations have been created and they must not be considered marginal in comparison to the ones which are on the official Via Francigena, as their aims are the same. Here it is possibile to see the official route both as a map and from the satellite, it is possibile to zoom in and out and to print it in the desired dimensions. The official route indicated is the one called “Sigerico’s”, Bishop of Canterbury who, coming back from Rome, where he had been in pilgrimage to receive from Pope John IV the “Bishop cloack”, left a diary in which he listed all the stops he made from Rome to Canterbury. 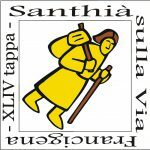 That is why “Via Francigena friends – Town of Santhià” would like to join the project which gol is to create an Association of the Cammini of Vercelli province to which will adhere: “Via Francigena friends – Vercelli”, “Amporium – Lamporo”, “Via Francigena friends – Santhià”, “Strà d’la Lola – Livorno Ferraris”. The aim in the future is to constitute an Association of the Cammini of Piedmont.